When confronted with a software vendor’s announcement of an impending license compliance audit, many IT managers lack orientation about what to do. This is an escalating problem: Software vendors increasingly use software audits of their customer base as a tool to increase revenue, ever more frequently targeting even small and medium enterprises. CIOs and Heads of IT need to prepare for these audits: They need to achieve software compliance transparency and deflect the financial risk of penalties while keeping the stock of unused licenses low to avoid unnecessary costs. With efficient processes and an integrated, workflowdriven license management solution, preparing for an audit, as well as handling it, is far less risky, labour-intensive, and time-consuming. 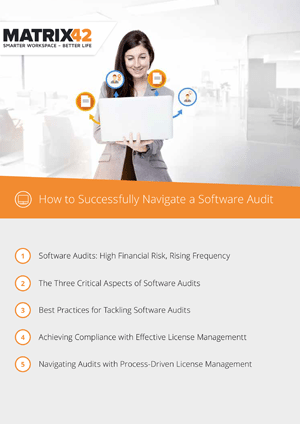 This whitepaper explains the most common traps related to software license compliance and describes best practices to pass software audits with minimal risk and effort.